Americans don't know enough about the world in which they live, according to a new report by an international-education task force, which calls for a "national effort" to reverse the trend. The report says higher education is vital to the effort and that more students must spend time studying abroad. If Americans don't expand their global knowledge, educators say, the United States stands to lose much--including the war on terror. According to the Institute for International Education (IIE), participation in study abroad programs among American students has tripled during the last 15 years. IIE's annual report, Open Doors 2003, says 160,920 U.S. students studied abroad for credit during the 2001-2002 school year. A number of barriers keep the number of American students studying abroad low, the report says, including stringent curricula, financial constraints, a lack &faculty participation and a failure to address the needs of nontraditional students, whose college enrollment numbers are rising. According to the report and members of the task force, these factors contribute to Americans' lack of understanding about the world beyond the United States--an ignorance that became clear after the terrorist attacks of Sept. 11, 2001. "Since 9/11, it has become more and more clear that our country simply cannot afford to remain ignorant of the rest of the world. The stakes are too high," says Dr. Richard W. Riley, former U.S. Secretary of Education and co-chair of the task force. "The generation that will lead our country tomorrow must receive an international education today. They must have opportunities to learn about other countries, other cultures and other points of view ... from direct experience, as an integral part of their higher education." According to a fall 2002 survey conducted by the Modern Language Association of America, 8.7 percent of all students in U.S. higher education study a foreign language--up from 7.5 percent in 1998. Spanish, French and German account for a majority of foreign-language enrollments, with 53 percent, 14 percent and 7 percent, respectively (see Black Issues, Dec. 4). 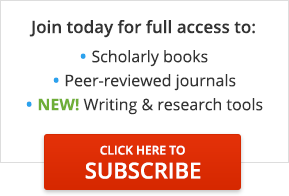 Publication information: Article title: Report, Educators Call for More Study Abroad Programs: Lack of Global Knowledge Threatens the Nation's Security, Future, Experts Say. Contributors: Lane, Kristina - Author. Magazine title: Black Issues in Higher Education. Volume: 20. Issue: 22 Publication date: December 18, 2003. Page number: 11+. © Cox, Matthews & Associates. COPYRIGHT 2003 Gale Group.